At the end of 2008 three trucks trundled across the Swiss frontier with Italy. Their cargo was 4400 antiquities seized from the warehouses of a Basel warehouse. Each of those objects had lost its original context. Each piece had been ripped from its final resting place to feed a market and ultimately the potential acquirers: public museums and private collectors. Several thousand lost contexts may seem a lot. But then remember the 350 or so objects that have passed through the hands of a Swiss conservator: the Italian authorities are actively hunting for them. And then there was the case of the warehouse in the Geneva Freeport. Seizures there have led directly to the identification of scores of pieces in public museums, a prominent private collection, a dealer's gallery, and at auction. The implications are clear. The cultural heritage of Italy, part of our cosmopolitan heritage, has been severely damaged by the desire of institutions and private individuals to own items wrenched from archaeological contexts across the country. Italy has taken steps. Items have identified and a selection of objects have been returned without resort to the courts. 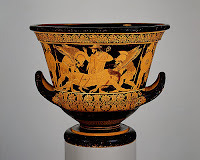 Major museums (all members of the prestigious Association of Art Museum Directors) have handed back well over 100 items: Athenian pottery like the Sarpedon krater, Hellenistic silver such as the Morgantina hoard, and Roman sculpture such as the portrait of Sabina. One dealer has been convicted, another is on trial in Rome, and it is reported that a third is likely to be prosecuted. There are even indications that such actions are seeing an impact on the level of looting. Yet some are still handling recently-surfaced antiquities from Italy. 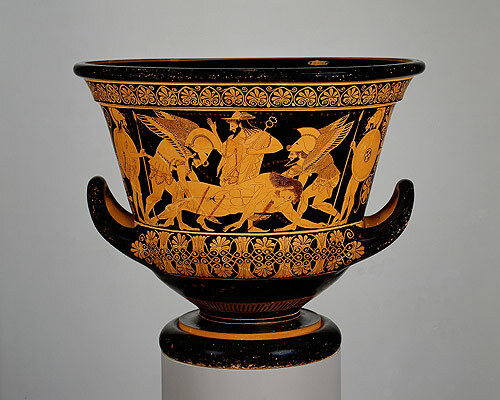 Only last year, three objects, a Corinthian krater, an Attic pelike, and an Apulian situla were seized in two separate raids from Christie's in New York. A fragment of Roman wall-painting from Boscoreale was seized from an unidentified New York gallery. These incidents are a reminder that there is a continuing need for an Extension to the "Memorandum of Understanding Between the Government of the United States of America and the Government of the Republic of Italy Concerning the Imposition of Import Restrictions on Categories of Archaeological Material Representing the Pre-Classical, Classical and Imperial Roman Periods of Italy". If you want to help protect the archaeological heritage of Italy, please submit your comments to the US State Department (details here). whether or not to renew the MOU." Actually, CPAC does not decide. They make a recommendation to the State Department which then does as it well pleases, as demonstrated in the Cyrus MOU where they ignored the CPAC recommendation to exempt coins and added them anyway. Sorry, but that's the way U.S. government works these days.